﻿I love this program! This is a brand new tool for me in 2015, someone mentioned it in a Facebook post so I thought I'd check it out and it's really cool! WHAT IS IT? 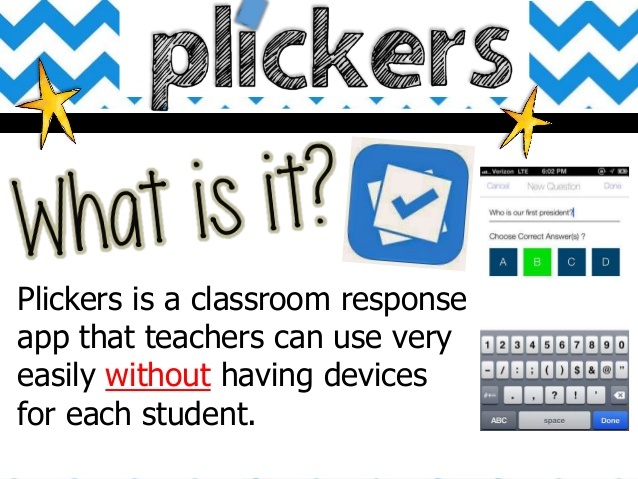 Plickers is a tool that lets teachers gather class data without each child having to have a device. There are plenty of poll and survey apps out there for teachers, but if, like me, your students don't have 1:1 access to devices then you need an alternative. The teacher needs a mobile device, but the students only need their cards. The teacher creates a question with multiple choice or True/False options, projects the Live View on the screen (with laptop), students decide which option (A, B, C, or D) they think is the answer and they hold their cards up. The teacher uses their device to scan the cards (surprisingly quick and easy!) and the answers pop up on the screen. You can choose to show the names of students so they can all see who answered what, or you can choose to keep it anonymous. The cards are designed so that students can't easily see what other people are answering, so it's very encouraging and also a great gauge of whole class understanding of concepts. 2018 UPDATE: I've been using Plickers for a few years now and it's definitely a staple in my classroom toolkit. Students of all ages respond really positively to it and it makes checking for understanding really fun, not to mention it's easy to receive and keep the information to inform future practice. In the beginning, I printed one lot of cards, laminated them, and use them with multiple classes. It's great to have this laminated base set that I keep in my backpack ready for any class, but at the start of each year I also print the students their own card and have them glue it in the back of their class workbook so they can quickly grab it out and use it at a moment's notice. 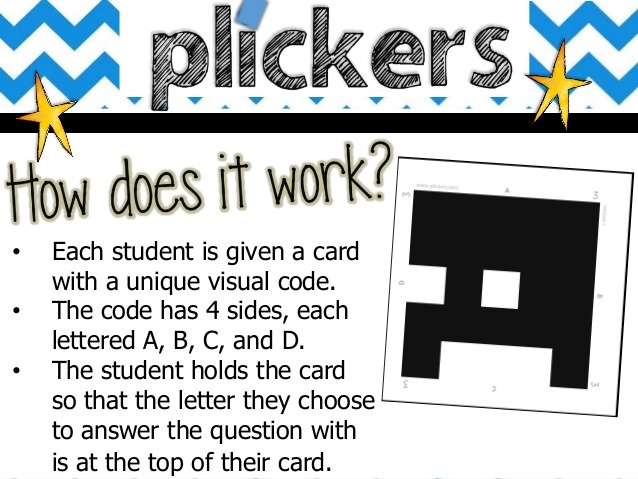 Check out the Plickers website for more info!